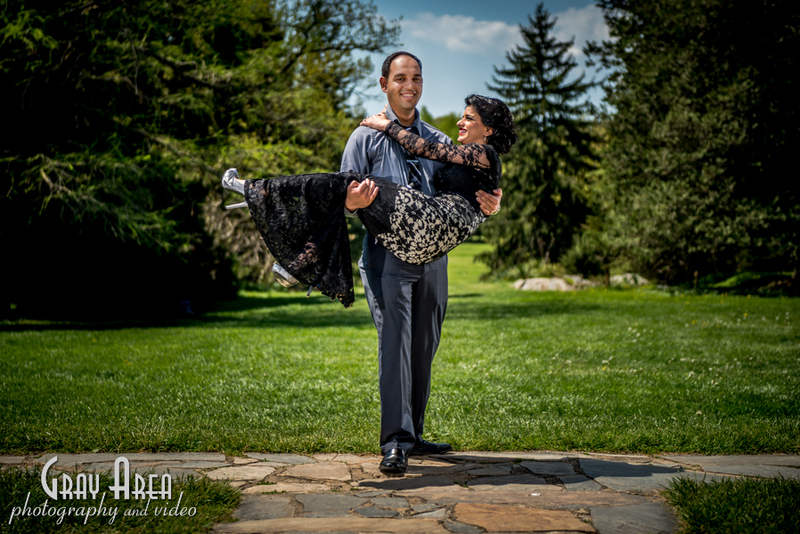 For our third photo session Annie and Quratul wanted to go to a more rural place, so I suggested the Arboretum at Blandy Farm on route 50 near Winchester. I love this location for doing engagements or fun portrait sessions with folks. Lots of spots all around the grounds for great backdrops; big trees, long walk way areas, a pond, stones walls, an old building… and lots of bees depending on the time of year, and on this day we were dodging bees pretty much the whole time. The bees weren’t after us pre-se, but we were still running away. But as soon as we’d run away, we’d run into a new spot for a great pic!